Lapwing, like Curlew, have suffered major declines in Scotland. Gamekeepers believe a novel conservation collaboration could yet prevent the call of the Curlew from being silenced in Scotland, if bold ideas are translated into concerted action. Wading birds have declined alarmingly in this country and Scottish Gamekeepers Association (SGA) warned of the consequences of inaction during its Year of the Wader programme, 2014. However, although managed moors are bucking the downward trend, wader number are continuing to crash in Scotland overall and gamekeepers fear losing the call of the Curlew forever. Scottish Government tasked countryside bodies to work together to address predation affects impacting the survival of waders and other wild birds such as the rare black grouse. The novel collaboration of environmental, farming, forestry and gamekeeping groups- run by the multi-body Moorland Forum- is combining science with local knowledge; a new conservation approach. 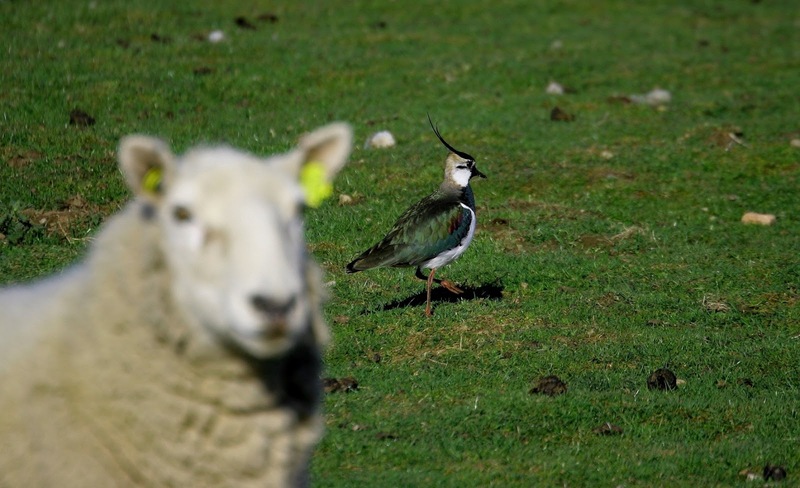 Following a workshop seminar of stakeholders this week at the SNH office at Battleby, the project is now preparing to move towards the best options to save Scotland’s wading birds. And gamekeepers, who have been calling for decisive action for over a decade now, are hopeful the ‘Understanding Predation’ project will finally see a reprieve for the embattled birds. “There is an acceptance now of a need to move quickly before we lose some of these species. There is also an understanding that what is currently being done is not working,” said the SGA’s Ronnie Kippen, who sits on the project steering group. “Only last year the Curlew was placed on the conservation red-list and without action now, the outlook is not great. The speed of their decline is a major concern. “What has been new about this project is that it has brought together people often with different views, with a common goal. Importantly, it has given practitioners who manage the land every day an equal right to have their opinions taken seriously, alongside published science. “Simon Thorp of Moorland Forum, Juliette Young (Centre for Hydrology and Ecology) and Chris Wernham of BTO and the rest of the team deserve thanks in managing this. The Birds of Conservation Concern report, published in December 2015, placed Europe’s largest wading bird, the Curlew, on the red list as a species of ‘highest conservation concern’. Red listings are attributed when a bird’s number or range has halved in the UK or if they are considered to be under threat of global extinction. In 2013, the State of Nature report sounded alarm bells for other waders, with Lapwing and Golden Plover decreasing by 53 and 50 per cent respectively between two study periods, 1968-72 and 2008-2011. The overwhelming majority of attendees at the Understanding Predation seminar this week acknowledged the current licensing system in Scotland does not offer adequate protection to wading and wild birds during the critical breeding window. The project steering group will now assess various adaptive management options in a bid to stem the declines before more birds are lost.